Salvia columbariae is an annual plant commonly called desert chia. It grows in the southwestern United States as well as northern Mexico. 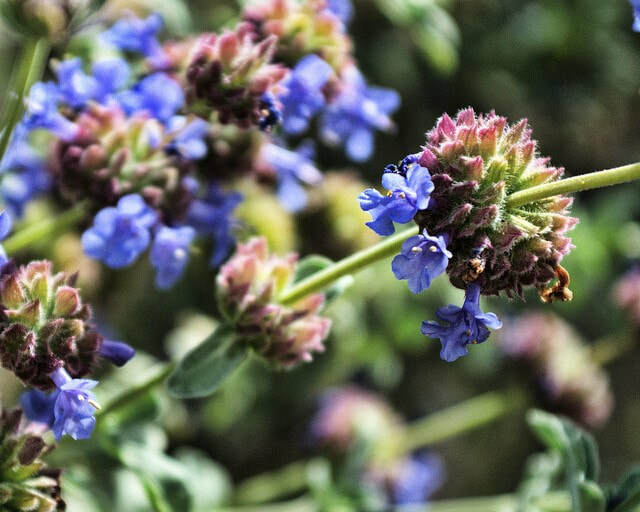 It can grow 1-2 feet tall and has pale blue to purple flowers that bloom in the spring months. Salvia greggii is a herbaceous perennial reaching 1 to 4 feet in height. It typically grows from 5,000 to 9,000 feet. 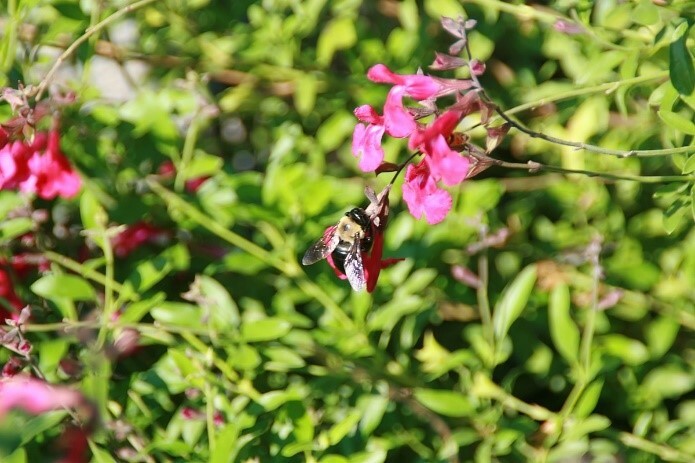 It has pink to red flowers and blooms throughout summer and autumn. Desert Lupine is an annual herb found in lower elevations (below 3,000 feet) in the Mojave, Sonoran and Chihuahuan deserts. It is common found along desert roadsides, slopes and mesas. Flowers are pale blue to lilac in color and bloom January through May. In years with high rainfall, Desert Lupine will carpet the floors of the Sonoran Desert. This species is a favorite among bees. It relies on up to 10 species to pollinate its flowers, including honeybees and bumblebees. Yellow paloverde is native to the southwestern United States and northwest Mexico. 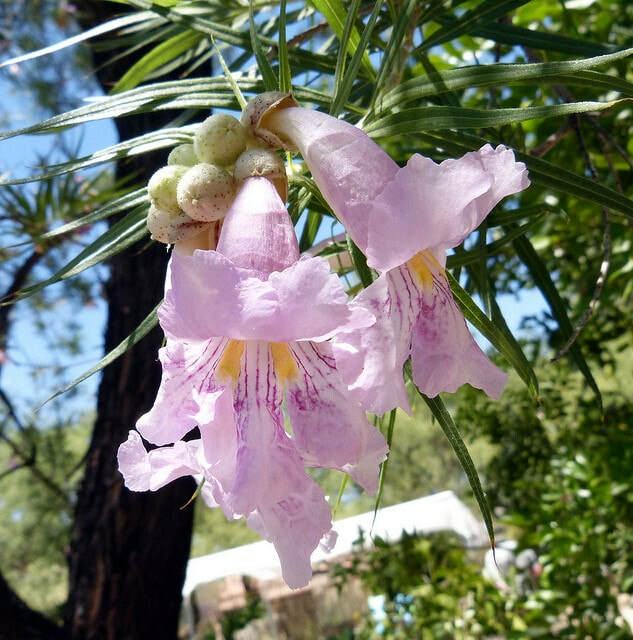 It is mostly found on slopes, and is one of the most common trees of the Sonoran Desert. It can live for several hundred years and typically grows from 10-15 feet. Flowers are pale yellow in color and occur in late spring. 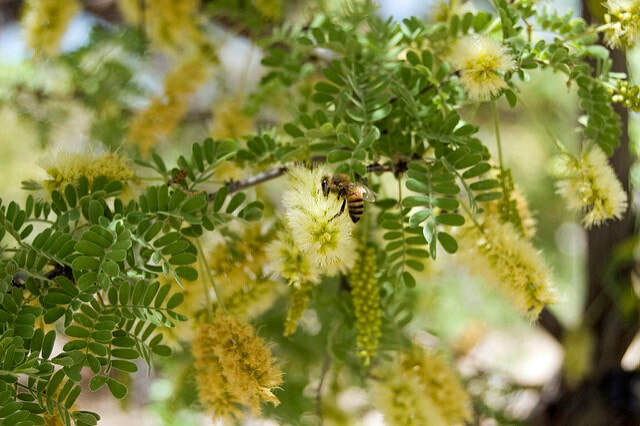 Flowers of this tree are pollinated by many different types of insects. Velvet mesquite is a perennial shrub or tree that can grow 30 feet tall. It is extremely common in southwestern deserts. Birds, insects, and mammals eat the beans from this plant and seek shelter under its canopy. It grows in desert washes and grasslands and is dominant along streams and river beds. Flowers are yellow-green and about 2-3 inches long.